The copyright is assigned for the year 1998 to the publisher. 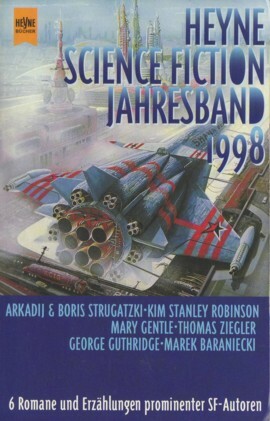 "Printed in Germany April 1998" is stated on the copyright page (ergo part of Heyne's paperback program for May of 1998). The cover & interior artists are credited on the copyright page, Ruhner is not credited but his works are signed. Other price: ÖS 123 (Austria).